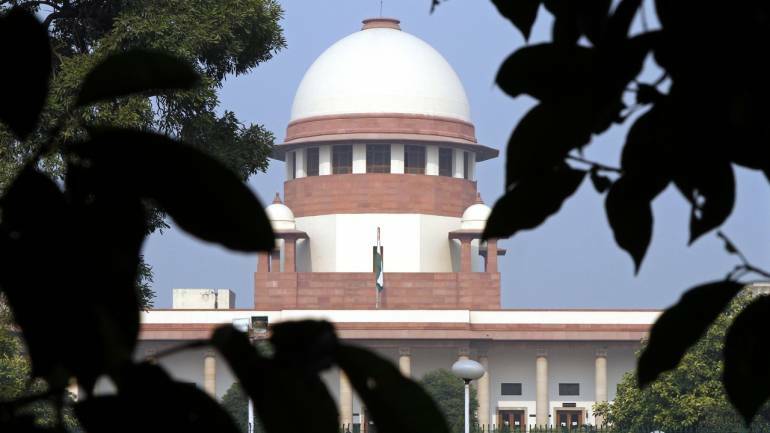 The Supreme Court on Friday said its verdict declaring right to privacy a fundamental right would have “some bearing” in matters related to the possession of beef in Maharashtra. The apex court made the observation while hearing a batch of appeals filed against the Bombay High Court’s May 6, 2016 verdict decriminalising the possession of beef in case of animals slaughtered outside the state. A bench comprising Justices A K Sikri and Ashok Bhushan was informed by an advocate that yesterday’s judgement from a nine-judge Constitution bench, declaring right to privacy a fundamental right, was important for adjudication of the appeal. “Yes, that judgement will have some bearing in these matters,” the bench said. The Supreme Court had yesterday said “…nobody would like to be told what to eat or how to dress” while ruling that these activities come under the realm of the right to privacy. Senior advocate Indira Jaising, appearing for some of the petitioners, referred to the privacy judgement and said the right to eat food of one’s choice is now protected under privacy. She also told the bench that Maharashtra government’s appeal challenging the high court verdict was already pending before another bench of the apex court. The bench, after hearing the submissions, posted the matter after two weeks. The Maharashtra government had on August 10 moved the apex court challenging the high court’s verdict striking down sections 5(d) and 9(b) of the Maharashtra Animals Preservation (Amendment) Act, 1995, which criminalised and imposed punishment on persons found in possession of beef of animals, slaughtered in or outside the state, on the ground that it infringed upon a person’s “right to privacy”. The court had issued notice on the appeal and tagged the matter along with several pending pleas related to the issue. The high court had termed “unconstitutional” the provisions which held that mere possession of beef was a crime, saying only “conscious possession” of the meat of animals slaughtered in the state would be an offence. The plea assailed the judgement, saying the restriction imposed by the 1995 Act on possession of flesh of cow, bull or bullock could not be interpreted and concluded to be an infringement of “right to privacy”. The state government had said the high court “…while coming to the finding that right to privacy forms part of the fundamental right to personal liberty guaranteed under Article 21 of the Constitution, ought to have appreciated that right to privacy was not yet designated as a fundamental right”. The plea had said that according to the verdict, obligation upon the state to prove “conscious possession” of beef would “constitute an unsurmountable circumstance readily available to the wrongdoer to escape sentence”. In its judgement, the high court had upheld the ban on slaughter of bulls and bullocks imposed by the Maharashtra government, but decriminalised possession of beef in case the animals were slaughtered outside the state. The judgement had come on a batch of petitions filed in the high court challenging the constitutional validity of the Act and, in particular, the possession and consumption of beef of animals slaughtered outside Maharashtra. The Supreme Court said its verdict declaring right to privacy a fundamental right would have “some bearing” on matters related to the possession of beef in Maharashtra. A bench comprising Justices AK Sikri and Ashok Bhushan was informed by an advocate that the judgement from a nine-judge Constitution bench, declaring right to privacy a fundamental right, was important for adjudication of the appeal. “Yes, that judgement will have some bearing in these matters,” the bench said. The Supreme Court had on Thursday said “nobody would like to be told what to eat or how to dress” while ruling that these activities come under the realm of the right to privacy. Senior advocate Indira Jaising, appearing for some of the petitioners, referred to the privacy judgement and said the right to eat food of one’s choice is now protected under privacy. She also told the bench that the Maharashtra government’s appeal challenging the high court verdict was already pending before another bench of the apex court. The Maharashtra government had on August 10 moved the apex court challenging the high court’s verdict striking down Sections 5(d) and 9(b) of the Maharashtra Animals Preservation (Amendment) Act, 1995, which criminalised and imposed punishment on persons found in possession of beef of animals, slaughtered in or outside the state, on the ground that it infringed upon a person’s “right to privacy”. The court had issued notice on the appeal and tagged the matter along with several pending pleas related to the issue. The state government had said the high court “while coming to the finding that right to privacy forms part of the fundamental right to personal liberty guaranteed under Article 21 of the Constitution, ought to have appreciated that right to privacy was not yet designated as a fundamental right”. ENGINEERING ENTRANCE TEST WITH A “TWIST”!!!! CAPGEMINI IN INDIA : A SOURCE OF INNOVATION.